Cinnamon tea is made from one of the most well-known and beloved spices in the world. You use it in cooking sweet and savory dishes and now you can also add it to your tea and reap the great benefits of cinnamon. What can a dessert tea offer you? Feeling cold? Do your fingers or feet feel like ice cubes? Then have a cup of cinnamon tea and soon you will start to feel comfortable and cozy inside again. or any day as a treat! Cinnamon is a spice that comes from the bark of the trunk and small branches of the cinnamon tree. It may be rolled into small cinnamon sticks or ground into a fine fragrant powder. The name cinnamon has a Greek origin, with Hebrew and Malaysian roots. You can find it by other names such as cassia, canela, kayu manis (Indonesian for “sweet wood”), vayana or kurundu (Srilankan). There are two main species of trees from the same family that can be used to extract cinnamon from their bark. Meaning “true cinnamon” or Ceylon cinnamon, this is the best known variety of cinnamon. Native to Sri Lanka, but grown commercially in other countries with tropical climates. The cinnamon is a small evergreen tree (10 to 15 meters in height) that has large oval leaves and beautiful white or yellow flowers. This odorous tree produces a small purple fruit with a single seed inside. 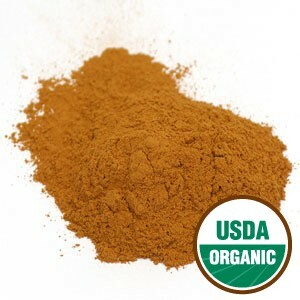 True cinnamon is thin and smooth with a light yellow-brown color and is very fragrant. The quills, or cinnamon sticks made only from the inner bark of the tree, are softer and are easier to grind. They crumble easily and seem less aromatic. Native to China and Japan, this is a related species to Ceylon cinnamon that produces a very similar spice also called cassia cinnamon. 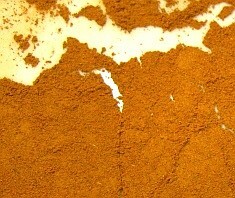 In some countries, this is the most common form of cinnamon sold as once it is ground it become very hard to tell the difference. This type of cinnamon is thicker and stronger as the whole bark of the tree is used and not only the inner bark. The resulting quills are harder and do not bristle easily. Additionally, cassia also has a more intense flavor, almost bitter and it is more fragrant, too. Which is best: True Cinnamon or Cassia Cinnamon? 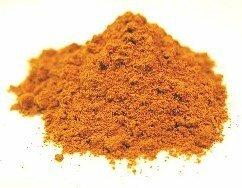 Cassia cinnamon seems to be more accessible and at the same time is the cheaper of the two types of cinnamon, so it seems to be the best option as a flavoring and cooking spice. As herbal treatment, true cinnamon is the best variety to make your tea: it is more active medicinally and contains almost no coumarins, a substance that may be toxic if taken in large amounts. Cassia in small amounts should offer no problems, but don’t overdo it. Cinnamon is one of the oldest spices known to mankind and it is present in every culture. It was first cultivated in Ceylon (Sri Lanka) and then introduced to India. From there it extended to the rest of the world and today you will find it growing in such places as Brazil, Madagascar, Vietnam and even the Seychelles. Since early times China and India gave cinnamon an important role in healing colds, indigestion and other ailments in traditional medicine. Arab traders then brought it along the trade routes to Egypt and then to Europe. Cinnamon was greatly appreciated in Ancient Egypt and it was used in the process of mummification and as a preservative. Romans used it to spice wine. Like other spices, cinnamon actually became more valuable than gold and silver. Only the most wealthy could afford it making cinnamon a symbol of the European elite. Portuguese sailors in the 15th century ventured the unknown Ocean and discovered new maritime routes to India and the Far East. Soon the Dutch and the English would follow in the 17th and 18th centuries. As cinnamon trees began to be cultivated in other parts of the world, the monetary value as the spice lowered, but its value as a culinary and healing herb continued to rise, being used as a warming digestive aids for many centuries. 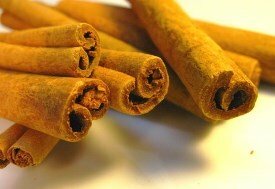 Cinnamon remains a beloved spice, powdered it is great for many culinary uses, particularly to make warming, scented sweet teas: dessert teas and chai tea. Sri Lanka remains the biggest producer of cinnamon in the world. China, Indian and Vietnam are also great producers of cinnamon today, with Indonesia being a big producer of cassia cinnamon. Cinnamon tea is rich in such nutrients as manganese, fiber, iron and calcium. The bark of the cinnamon tree also contains volatile oils, mucilage, tannins and coumarins. All these components mixed with high antioxidant levels, make this herbal tea a wonderfully healthy drink with many great benefits. A dessert tea made with cinnamon is a warming tea that will help you in moments of digestive distress. Great as an after meal treat, it is a spicy tea that will greatly improve your digestion by stimulating your digestive organs. Take a cup of cinnamon tea when you feel indigestion coming on. It will help you digest dairy products and fruits and help relieve stomach. It may even help restore your appetite. The soothing powers of this herbal tea go on then to relieve constipation, gas, nausea and even diarrhea. It eases intestinal spasms and helps the body to rid itself of intestinal parasites. Consider this tea for your children when they have colic. How can a dessert tea help you lose weight? Proper digestion also means a faster metabolism that can help break down the fatty components of your food at a higher rate. Cinnamon tea stimulates your body giving you the heat and energy to burn excess fats that have already accumulated in your body. With proper exercise and a healthy diet, this spicy tea may result in a gradual loss of excess weight. A great advantage to this herbal tea is that it is quite sweet so you don’t need to add sugar or cream to improve the flavor. In fact, you may add cinnamon to other teas to help prevent calorie absorption. You will find that cinnamon tea is rich in vitamin C and has great warming action when you are suffering from common cold symptoms. So cover up a take a cup of this tea and your chilly feelings will soon fade away. Cinnamon tea helps to clear congestion in the lungs and chest of harmful bacteria. With a bit of honey it will bring great relief to a sore throat and help to bring down a fever. This warming tea will more than help treat a bad cold or flu, it will also help you breathe better, treat a case of laryngitis and perhaps bring some relief to certain types of asthma. Cinnamon tea helps stimulate blood circulation. You will feel stimulated and full of energy. It is even said to be a longevity tonic. Why? Let’s find out. One of the benefits of cinnamon tea is its positive action on your cholesterol levels. It may help lower LDL (bad) cholesterol and raise HDL (good) cholesterol levels. Your heart will also benefit from lower triglyceride levels. It is also a blood thinner, which helps to lower blood pressure and aids in the prevention of blood clots that cause heart attacks and strokes. Another benefit of improved circulation is that you will feel warmer hands and feet as blood will flow more easily to your bodily extremities. Another great benefit of cinnamon tea is its sugar regulating action. This tea helps to reduce blood sugar levels and improves insulin production. For these two reasons, this tea could be of great help for those who suffer from Type 2 diabetes. This herbal tea also contains a high level of antioxidants. So having a daily cup of tea that lowers oxidative stress can help to relieve symptoms of diabetic conditions and even reduce the rate of complications. Just make sure to talk to your doctor about adjusting any medication that are taking and monitoring your progress. Cinnamon tea treats more than colds and flus. It can be quite useful for fighting all sorts of bacterial infections. With its antiviral and antiseptic properties, this tea may help boost your immune system and, for example, help treat urinary and bladder infections. This means more power not only to fight, but also protect from disease. 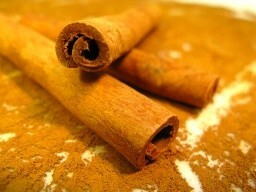 Antioxidants in cinnamon boost your defenses and fight environment factor that may damage your organism. In additions, this tea is also said to bring relief when you suffer from fungal or yeast infections, as cinnamon has antifungal powers. If you suffer from arthritis, you should give this tea a try, it can serve as an anesthetic to help relieve the pain and at the same time it will help reduce the inflammation behind the condition. This warming tea is a surprisingly calming tea, too. It soothes the nerves system and so may help when you feel rather irritable or depressed. Spicy and sweet, a cup of cinnamon tea may also bring relief to bad headaches and migraines that may be a symptom that you need to rest and at the same time prevent you from doing so. It also eases pains such as toothaches, cleaning your teeth and ridding your mouth of bacteria that cause bad breath. So choose a quiet place, take a break and drink a cup of tea. Cinnamon tea is a great tea for women as it helps to stimulate and tone the liver and thus balancing hormonal levels, fundamental to deal with symptoms of menopause. It also tones the adrenal system, improving the health of all glands. At the same time this tea works as an herbal tonic for the female reproductive system, helping to regulate menstruation and also getting post-delivery hemorrhaging under control. Men can benefits from drinking cinnamon tea, too. This male herbal tonic can have an invigorating action on the body tonic the male reproductive organs and improving hormone production in the liver. Warm and spicy, this tea is often regarded as an aphrodisiac, too. Why not give it a try? Cinnamon tea is said to help improve brain function, having positive effects on memory and reducing the risk of Alzheimer’s disease. It is also said to help fight the growth and proliferation of certain types of cancer, such as leukemia and lymphoma. Warm up with a cup of tea! Too much of this herbal tea may increase heart rate and blood circulation and put strain on your heart, particularly when mixing with medication or supplements. The cassia cinnamon species may contain a high amount of coumarin that the Ceylon cinnamon species does not, this means that it may cause damage to your liver and kidneys when taken in large amounts. Cinnamon tea may cause mouth sores or burn skin when taken in large doses so if you start experiencing any of these symptoms reduce the amount of tea you are ingesting. If you are pregnant, it is best to avoid this tea because cinnamon may stimulate the uterus into premature labor and there is not enough data to make sure it is 100% safe. If you are taking blood thinners, such as aspirin, do not take this tea medicinally as it may increase the effects of the medication and become harmful. Talk to your doctor first. If you suffer from gastroduodenal ulcers, you should not take this tea as the cinnamon may stimulate your digestive juices and cause you some unnecessary pain. Do you suffer from diabetes and have to take insulin or other medication to control your blood glucose? 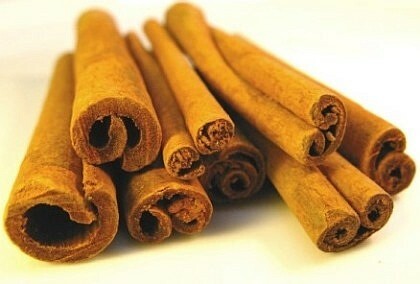 If so, then do not take cinnamon tea medicinally, as its health benefit of lowering blood sugar may actually harm you. Some people may have allergic reactions to cinnamon. If you experience any of the symptoms then stop taking this tea and speak to your doctor. Allergic symptoms may include dermatitis, skin rashes and mouth lesions. Cinnamon is a wonderful spice that fills the air with a wonderful smell, so why not enjoy the perfect cup of cinnamon tea and experience its spicy flavor as well. Let’s learn how to make cinnamon tea. Recommended Dosage: 1-3 cups a day, preferably after meals. This herbal tea is very easy to make and you can either use cinnamon sticks or powder. 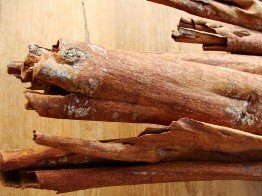 Both come from the inner bark of the cinnamon tree and a cinnamon stick should be about the same as ½ teaspoon of powder. So put the kettle on and let’s begin. Break one cinnamon stick into small pieces and place them in a tea cup. Now pour 150-200ml of the boiling water in your cup. Cover and let your tea steep for 10 to 15 minutes. This is a naturally sweet and spicy tea, so you may want to add a teaspoon of honey, instead of sugar, to sweeten it. Strain and drink. Place one teaspoon of cinnamon powder in a teacup and then pour 1 cup of boiling water (about 250ml) onto the powder and stir. Cover your teacup and let steep for about 10 minutes and then add a teaspoon of honey to sweeten. Drink your cinnamon tea after meals, and then only one 1 to 3 cups a day to enjoy the full benefits of cinnamon tea. If you can choose then use cinnamon sticks, they have a stronger aroma and your tea will keep its strength for a longer period of time. A cinnamon stick is more likely to retain its strength for multiple brews, so add freshly boiled water and drink another cup of tea. 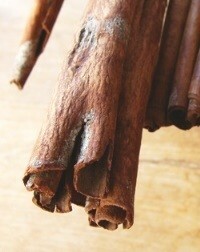 Store cinnamon at room temperature or in the fridge to keep for as long as a year. It should have a sweet and fresh smell. Do you want to add a bit of spice to your regular black tea? Place a cinnamon stick in your tea as it brews to enhance flavor and benefits of any tea. Also, mix cinnamon in with your other herbal remedies, its great warming flavor will improve any tea. Mix cinnamon with echinacea, ginger and a bit of licorice for sweetness and you will get a great tea to soothe and boost your defenses. Cinnamon and ginger are a great blend to improve your blood flow, and with a few more ingredients you can recreate a chai recipe. If you wish to improve your digestion you can mix this herb with chamomile or with peppermint to treat a bad cold. Buy Your Cinnamon Tea Today! Click on the image or on the link below to purchase from Starwest Botanicals your Ceylon Cinnamon. Make yourself a naturally warm and sweet tea with cinnamon powder or cinnamon sticks. This is a must-have in every pantry! Any tea tastes better with a dash of cinnamon and it's so easy to make! and reap all the great benefits of cinnamon!